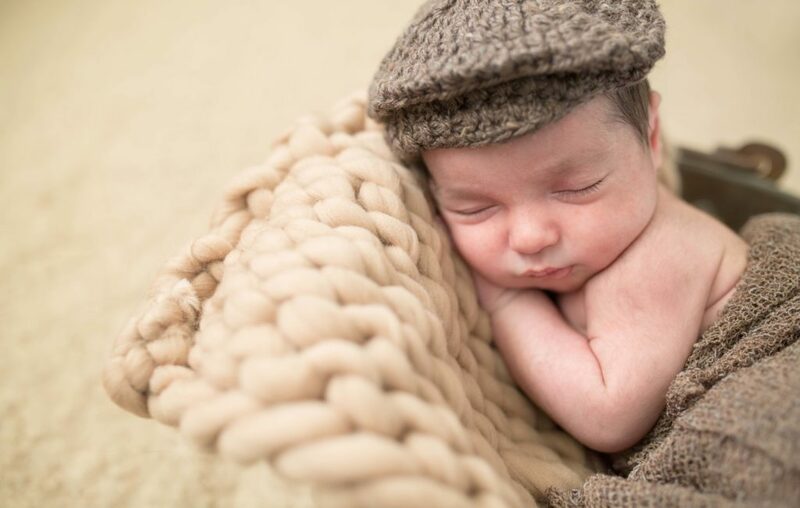 I have found baby photography can be tricky in a different way to Newborn Photography. 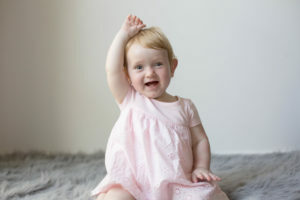 If the photos aren’t taken at the right age the child’s awkward movements can make for awkward photos! 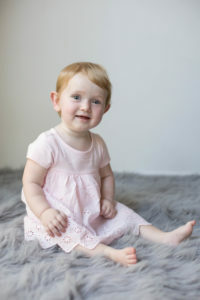 As a Melbourne Baby Photographer my favourite age for photographing babies is around their eighth month, right before they start crawling and walking (or running!) away. This is also usually before their ‘stranger danger’ anxiety kicks in and babies are less likely to get upset with the presence of a my new face. 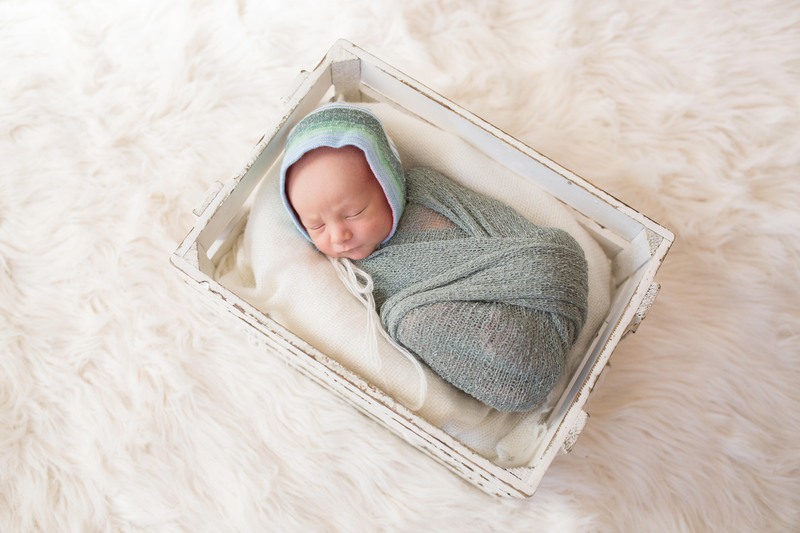 So the beauty with in home posed baby session’s is that baby feels completely comfortable. 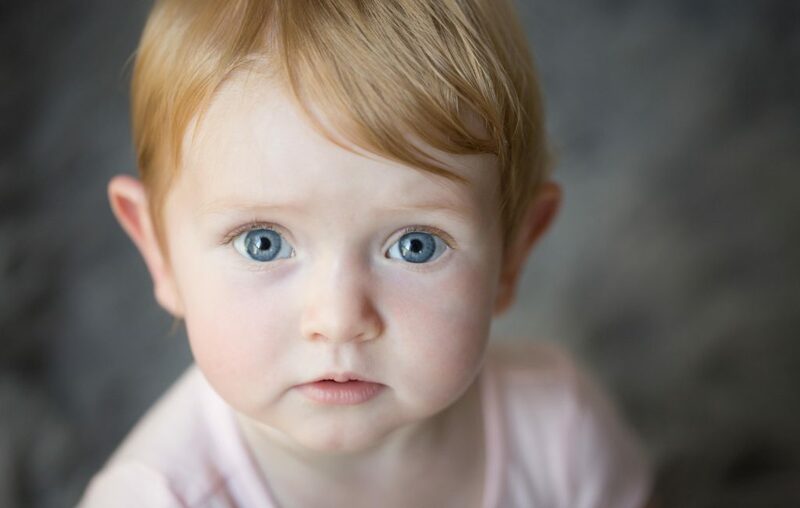 Ebony is such a darling little girl, with her head of strawberry blonde locks and her piercing bright blue eyes. Ebony was at that perfect age so shewas content to play peekaboo with my camera. So there was not one whinge or cry. 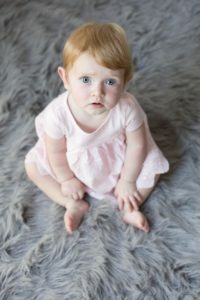 It was like she had been a model before, by striking poses, maintaining terrific eye contact and it all added up to make a gorgeous gallery for her parents.